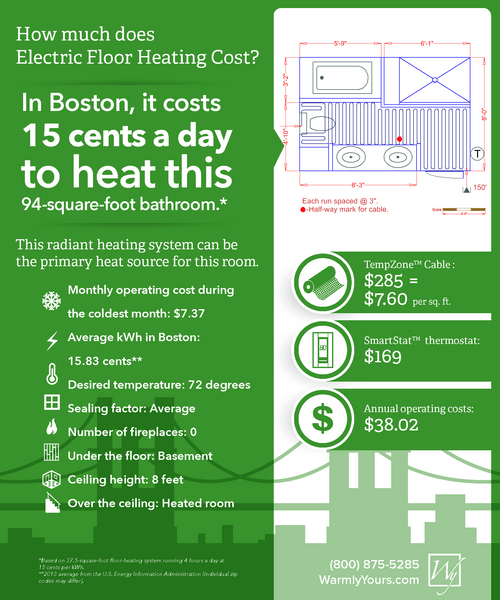 What Does Comfortable Floor Heating Cost in a Boston Bathroom? Historically, Boston is known as the place where the American Revolution erupted in response to the infamous Boston Tea Party incident, followed by the battle at Bunker Hill and the Siege of Boston. But it's come a long way from those tumultuous beginnings and is now more commonly recognized for its sports teams, great "be-ah" and comfort food. A few of the comfort foods associated with the city of Boston include clam chowder, fried clams, pulled pork and baked beans. The city is even nicknamed Bean Town! Just as they like comfort food, Boston homeowners enjoy the creature comforts of a cozy home and hearth. Radiant heating is a perfect fit to add comfort and warmth to their surroundings in the same way that comfort food warms their souls. The city has a median home price of $460,600, which has increased 6.2 percent in the past year and will rise another 3 percent within the next year, according to Zillow. This home value is significantly higher than the national average of $178,400. As a result, buyers might expect to find a range of upgrades when they invest in an average- or above-average-priced Boston home. For homeowners looking to appeal to prospective buyers — or for those who wish to improve their homes for their own enjoyment — radiant heating can be an affordable way to add value. In this 8- by 12-foot bathroom (see floor plan), it costs less than $500 to purchase the heating element and thermostat, and it costs less than a quarter a day to operate the system. A 150-foot TempZone™ Cable spaced 3 inches apart fills 37.5 square feet of floor space and emits between 10 and 12 watts. This heating element costs $285, which comes out to $7.60 per square foot. A SmartStat™ programmable thermostat for operating this system costs $169. As a result, the total cost of the heating element and thermostat is $454. To operate the system for four hours a day, it costs 15 cents, according to WarmlyYours' Energy Use Calculator. That's much less than a can of baked beans! 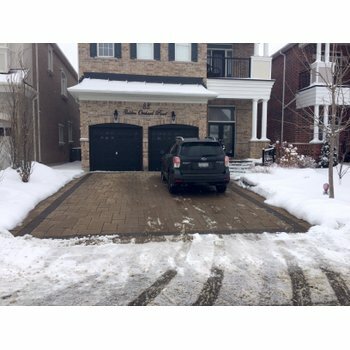 According to WarmlyYours' Heat Loss Calculator, the annual operating cost is about $38.02, and the monthly operating cost during the coldest month of the year is only $7.37. To add even more comfort and value to a bathroom, homeowners can install heated shower floors and a heated shower bench in their walk-in shower. 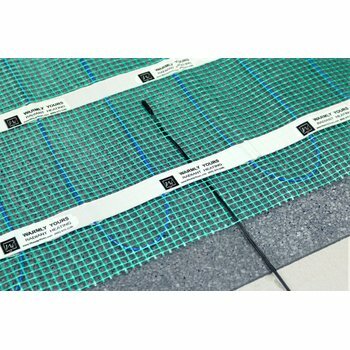 These heating elements start as low as $51 for a small bench mat and go as high as $256 for a large shower mat. 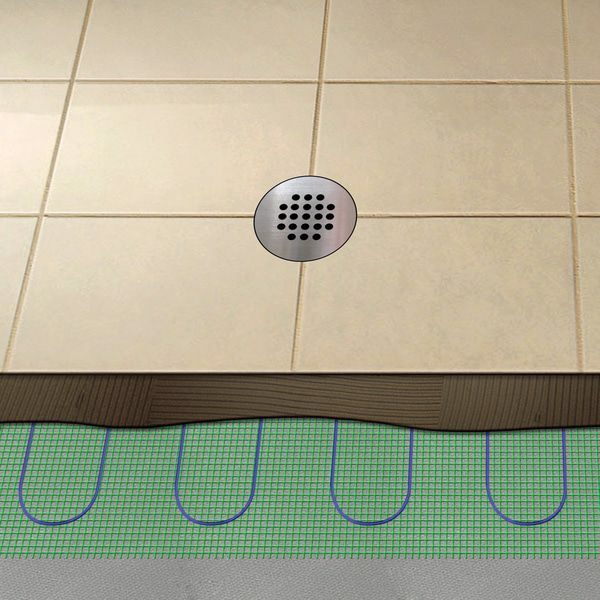 All of the shower floor mats feature a hole in the center to accommodate the drain, so installation is a breeze. Additionally, a mirror defogger that prevents fog from forming on your bathroom mirror adds luxury to any bathroom. You can buy a mirror defogger that adheres to the back of any wall-hung mirror for as little as $59 for a small mirror and for a maximum of $109 for a large mirror. 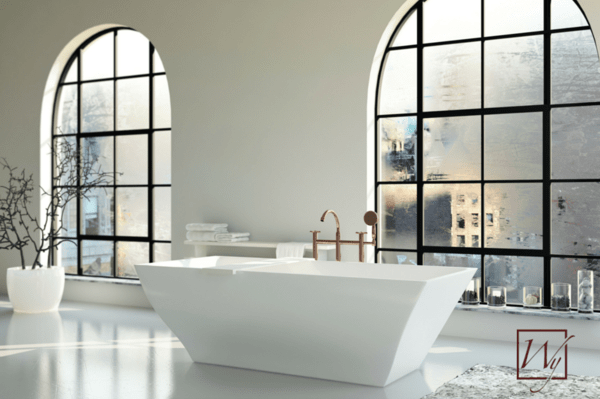 The opportunities for adding value to your bathroom are limitless! Towel warmers are also one of the top upgrades to add value and luxury to a bathroom. These functional accessories are available in hardwired or plug-in models in a variety of finishes and styles. 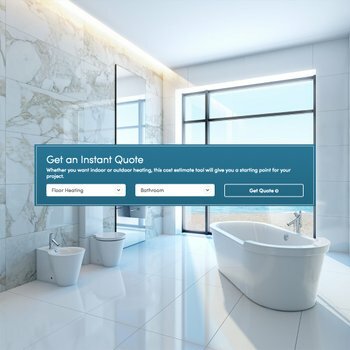 To find out how much it would cost to add in-floor heating to your bathroom — or any other room in your home — check out WarmlyYours' Instant Quote tool online. This tool will tell you the product you need, and it will give you the cost. It also allows you to upload a drawing or image of your room's floor plan so that our sales team can provide you with a customized installation plan. This plan shows you exactly where the electric floor heating will be located and how it will be laid out for optimal functionality. To determine how much it would cost to add a mirror defogger to your bathroom mirror, click here to check out our various options. Of course, if you have any questions, just call us at (800) 875-5285 and one of our friendly, knowledgeable account managers will be happy to assist you. And when you are ready to install the product, our 24/7 technical support experts are there to guide you every step of the way. For more information, please visit www.warmlyyours.com.